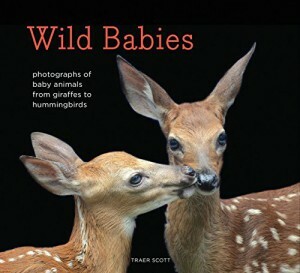 Bestselling author and photographer Traer Scott captures the magic and wonder of young animals' lives. Featuring portraits of more than 30 baby animals--including an adorably gangly giraffe calf, a wide-eyed elephant seal pup and a playful pair of opossum joeys--Wild Babies provides a glimpse into the rarely-seen world of newborn animals. Scott's delightful photographs are paired with informative captions that highlight the formative moments of these infants' first weeks as they explore the thrilling world outside their nests, dens and burrows.